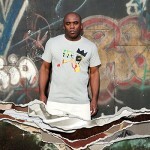 Share the post "Album review: KIRT DEBIQUE – Things Left Unsaid"
This is the debut album by Kirt Debique, a self-taught musician who also owns Brick Lane Records and amazingly he has only been serious about making music these past six or seven years. He has some talent, not only as a singer but in his ear for a catchy musical arrangement and thought provoking lyrics. Being honest this is not your average GRTR! fare, still if like me your musical taste is wide and revolves around the power of the song then this will be a ‘must hear’. ‘Celestial Musings’ is one of the best songs I have heard all year. Why? The voice of Kirt is very high and melodic on the ears, yet demands the listener’s attention and the electro beats/piano backing weave magical patterns. ‘Dear Mother’ not only makes you stop and think, its slightly aggressive feel brings to mind 90′s era Depeche Mode. Keeping the family theme, ‘Another Time’ has a future version of Kirt addressing his father. A song that can resonate with all. ‘Tell Me How You Know’ is one of those listen in the night time songs, where the vocals are the key to the song’s success, laid over a mournful piano riff. ‘Ghosts’ really does sound like a Depeche Mode song and listen out for the uplifting synth (I think?) in the background, superb stuff. This entry was posted in ALBUM REVIEWS, ALBUM REVIEWS (Mobile), All Posts and tagged album, Depeche Mode, electro, Kirt Debique, pop, review, songwriter, Things Left Unsaid. Bookmark the permalink.